If you do one thing this month, be sure to visit your nearest Tesco Extra. I totally geeked out over the addition of a new section (sadly only until August 31st) in my local Tesco. Tesco are hosting a Lifestyle Food Festival with the aim of sharing a range of new products to support dietary needs and lifestyle choices. Now I don’t have dietary needs but I do love to try the latest health foods. Anything that tastes great and is good for me is always a winner! On my first visit I picked up the above items, but I will continue to share more over this next month to hopefully introduce you to some new cool health brands. Expect to see Free From, Vegan Friendly, Nut Free, Future Food Trends and Sources of Protein. I do love crisps, which is why I don’t have them in the house – they would quickly disappear! However after seeing these “healthy crisps” on the shelf I thought they would be worth a try. 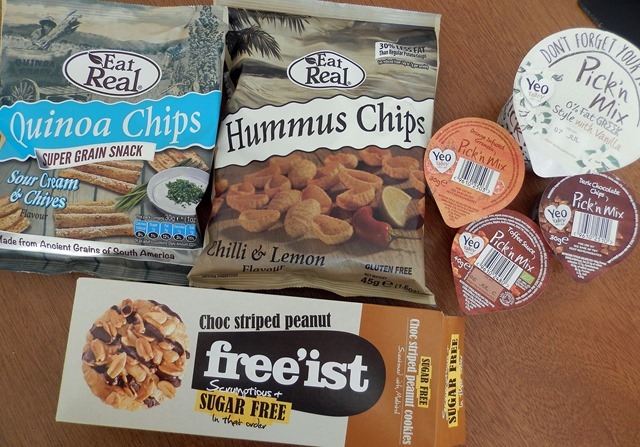 Eat Real Crisps are gluten and wheat free, suitable for vegetarians and vegans, free from GMO and MSG and contain no artificial colours or preservatives – basically they aren’t full of any nasty surprises and you can recognise all the ingredients on the back of the packet! I admit first impressions weren’t great – I opened the rather large packet to find it was half full. I shrugged this off and halved each of the packets into two bowls – one for me, one for the boyfriend. Upon tasting my boyfriend was the first to pipe up “You wouldn’t know these were different to normal crisps”, when asked if he liked them it was a definite yes. 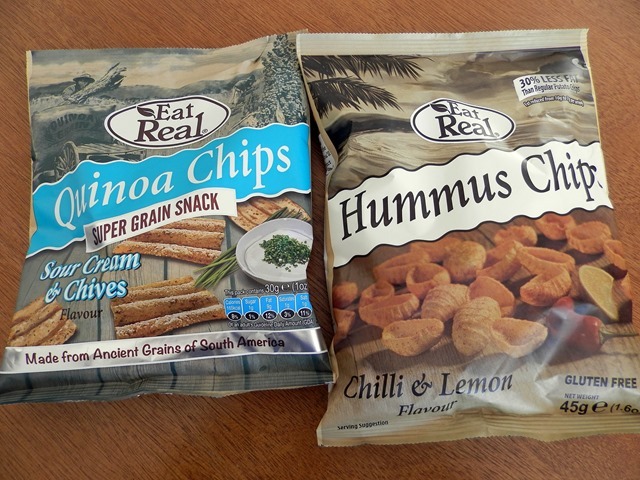 I enjoyed them both myself, and agree these taste and have the texture of regular crisps. The Chilli and Lime flavour were my favourite and I would buy them again as the occasional treat. I first blog about Sugar Free Diets in January, and since then it has definitely become the buzz word of the year! It’s no longer fat that the world is concerned about, it’s sugar, so it’s no surprise to see a number of Sugar Free products appearing. I picked up these Free’ist Cookies for those late night cravings to pair with my evening cuppa. 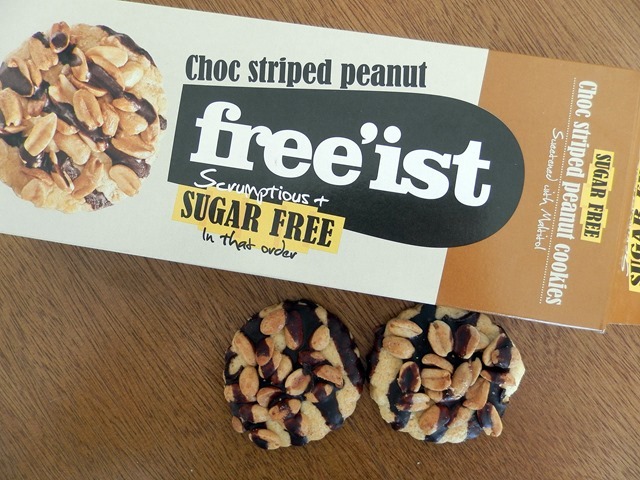 Now these Free’ist Sugar Free Chocolate Striped Peanut Cookies are super tasty and guilt free! They are crunchy and soft at the same time, with a fab peanut topping! I will definitely be trying more in the cookie range and the sugar free chocolate! 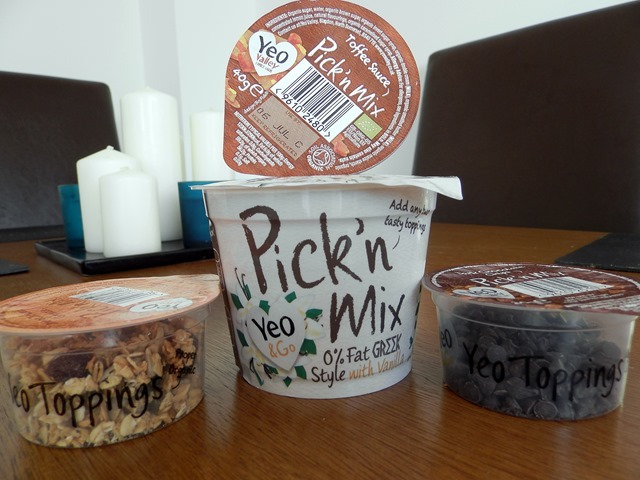 Now I admit that this Yeo & Go Pick’n Mix Yoghurt wasn’t on the Lifestyle Food Fair aisle, but I thought it would be worth sharing. I don’t tend to eat Natural Yoghurt, I much prefer Greek Yoghurt, however this little snack pot was too good not to share! I thought the convenience of the pick’n mix was great – you could pick up a number of toppings and use them together of on it’s own. The little pots mean that your muesli etc. doesn’t go soft as it may in a big box. Overall its a great little treat. Have you taken advantage of the new aisle at Tesco? Which healthy food items have you tried and would recommend to others? I love to snack so I like things such as Nakd And Eat Natural bars. I really love Panda Licorice too. I started off visiting the health foods section because of a fish allergy and needing fish free items but stayed for the snacks. I LOVE Nakd bar… so tasty! I love this section in my Tesco as I’m actually Gluten intolerant. My only concern is I felt like it was promoting a gluten free lifestyle a little, when in fact GF food has more sugar than non-GF. It’s great to see other health food snacks though and those sugar-free cookies look yum! Have to agree with you there… but it’s great to see new healthy products in the spot light!